The all-new Fiesta ST has made is debut, and boy, does it look good. Shown for the first time ahead of its global public debut at the Geneva Motor Show next month, the next generation Fiesta ST will deliver 200 PS, 290 Nm of torque, and anticipated 0-100 km/h (0‑62 mph) acceleration in 6.7 seconds. Drive Modes will also adjust Fiesta ST’s Electronic Sound Enhancement (ESE) technology and active exhaust noise control valve to deliver an even more satisfying driving experience. The technologies amplify the naturally sporty sound of the new 1.5-litre EcoBoost engine and deliver an unprecedented combination of performance and fuel efficiency, the new model will deliver the most versatile, fun, engaging and rewarding Fiesta ST driving experience yet. With engine and performance enhancements comes all-new technology features from the cabin. From an all-new tablet-inspired 8" display on the dash which can be operated using pinch and swipe gestures, to Ford SYNC 3, that offers a whole new level of in car communication and entertainment, enabling Fiesta ST drivers to control audio, navigation and connected smartphones (supporting both Android Auto and Apple CarPlay) using simple, conversational voice commands. The new Fiesta ST also comes with the new B&O sound system, which will also be featured in the new 2017 Fiesta, meaning you can turn up the music with complete clarity. The New Fiesta ST is set to impress inside and out. "Our ST models are designed to make a Ford Performance driving experience accessible to customers regardless of lifestyle,” said Matthias Tonn, Fiesta ST chief programme engineer. 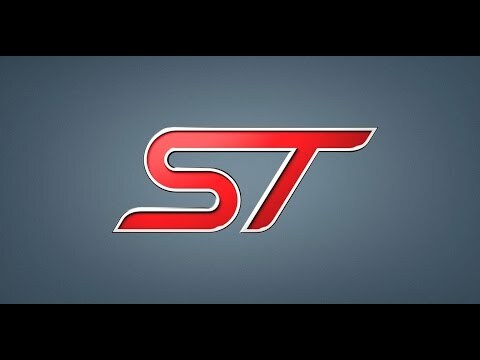 “With three- and five-door bodystyles and distinctive styling options that complement the model’s performance characteristics available from day-one, the next generation Fiesta ST will deliver a broader appeal for an even wider range of car-buyers"
Here at Birchwood Ford, we are very excited about the launch of the All-New Fiesta ST. If you are too, and want to keep up to date with all the latest news and information, why not follow us on Facebook, or Twitter? You can also register your interest at any one of our Ford branches, and be one of the first to test drive the car once available at one of our dealership launch events. Simply complete an enquiry form by clicking on the button below or call us in branch today.